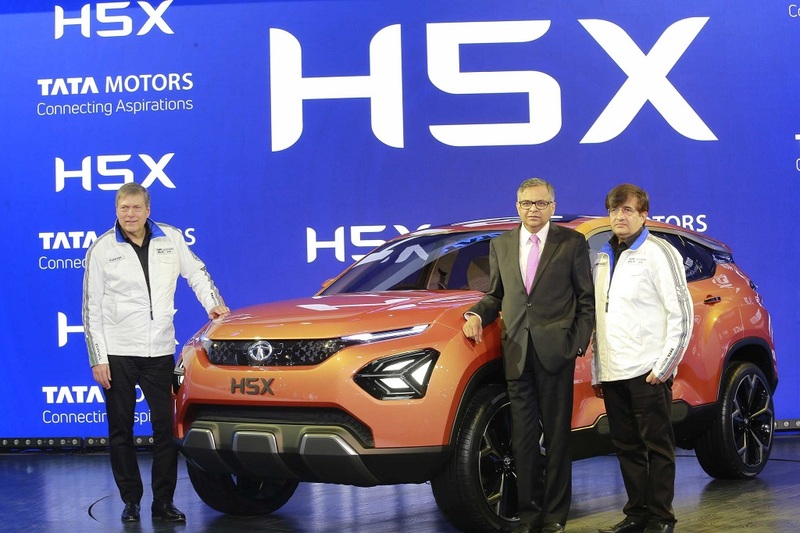 In the image (Left to Right), Mr. Guenter Butschek, CEO & MD, Tata Motors, Mr. N. Chandrasekaran, Chairman Tata Sons and Tata Motors and Mr. Mayank Pareek, President, Passenger Vehicle Business Unit, Tata Motors at the global debut of the H5X concept at the Auto Expo – The Motor Show 2018. New Delhi, February 7, 2018: With a fresh new appearance, in the 150th year of the Group, Tata Motors today brought alive the Government’s vision of smart cities of the future with its ‘Smart Mobility, Smart Cities’ theme at the ‘Auto Expo – The Motor Show 2018’. Showcasing mobility solutions for intelligently connected cities designed to offer convenience, safety, security, and efficiency to its customers, Tata Motors demonstrated its capabilities shaping India’s future of mobility. 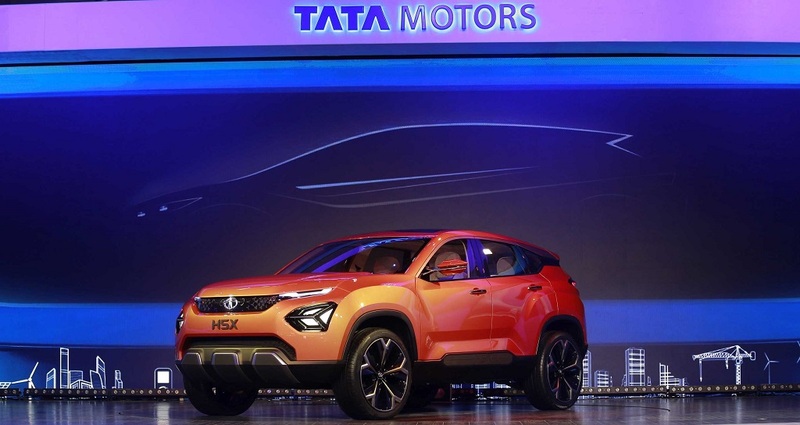 Tata Motors today unveiled two new attractive innovations from its passenger vehicle stable – H5X concept and the 45X concept. Based on the Impact 2.0 design language, these next generation passenger vehicles from the Company are derived from two new architectures – the ‘Optimal Modular Efficient Global Advanced’ Architecture and ‘Agile Light Flexible Advanced’ Architecture respectively. (Left to Right), Mr. N. Chandrasekaran, Chairman, Tata Sons and Tata Motors, Mr. Guenter Butschek, CEO & MD, Tata Motors, Mr. Girish Wagh, President, Commercial Vehicle Business Unit, Tata Motors, along with Akshay Kumar, Brand Ambassador of Tata Motors Commercial Vehicle Business Unit at the all new Compact truck Tata-INTRA at Auto Expo 2018. Providing smart solutions in an Urban high-density Residential Zone, Tata Motors revealed two innovations of its best-selling compact SUV – the Nexon Aero and the soon to be launched Nexon AMT. The Sports Zone gives a glimpse of products catering to customers who love the thrill of sport and performance. Revealed for the first time were Tiago JTP and Tigor JTP – performance vehicles build by the JT Special Vehicles Pvt Ltd, a joint venture between Tata Motors and Jayem Automotives Pvt Ltd. In addition, making its Indian debut following the overwhelming response received at its global unveil at the Geneva Motor Show 2017 is India’s first two-seater, connected sports Coupe – the ‘RACEMO’ by TAMO. 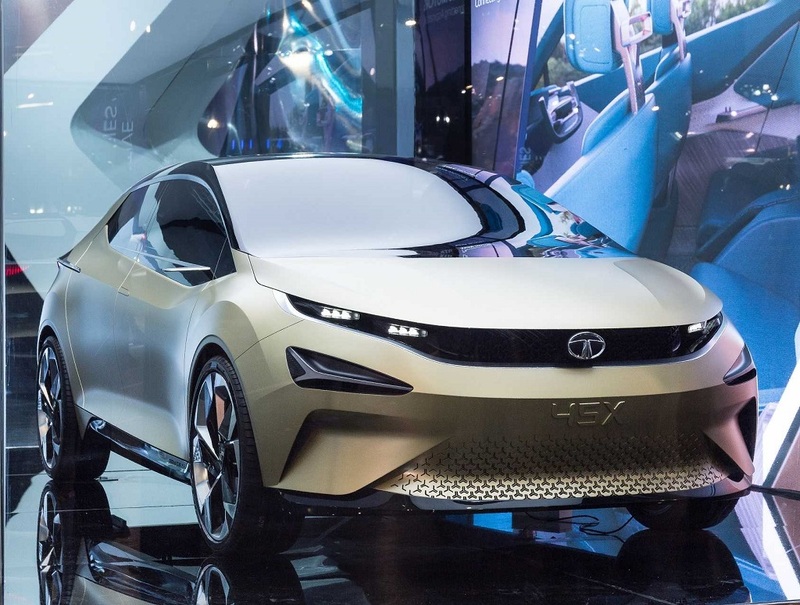 In the Smart Energy Zone, catering to the Government’s vision for all electric by 2030, Tata Motors is displaying an extended range of six EV products enabling personal and mass mobility. Demonstrating its capability in promoting smart and safe public transportation, on display is the 12m Electric Bus with a Smart Bus Stop and passenger carriers – the Magic EV and the Iris EV. The Tiago EV, the Tigor EV and the Racemo EV –a special Auto Expo edition completed this range in PV affirming the company’s endeavour to facilitate faster adoption of electric vehicles, to build a sustainable future for India. 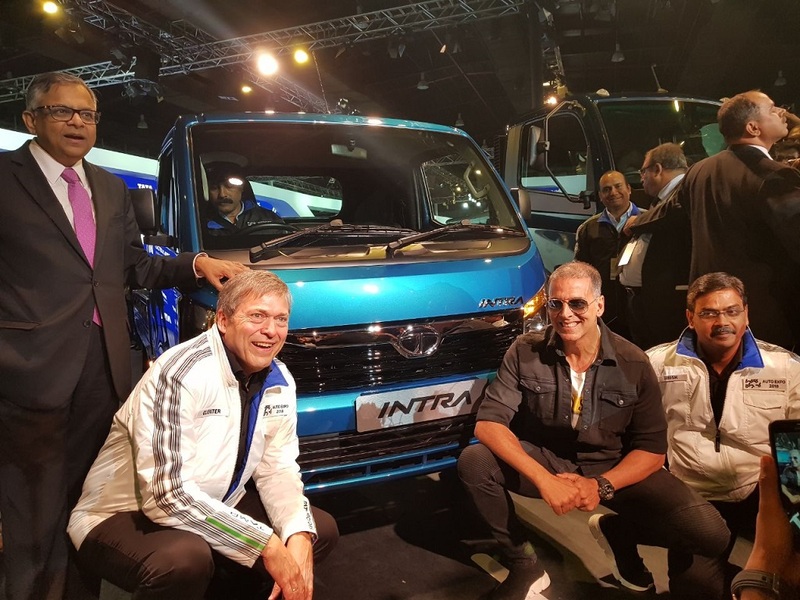 Akshay Kumar, Brand Ambassador of Tata Motors Commercial Vehicle Business Unit at the unveil of the all new Compact truck Tata-INTRA at Auto Expo 2018. The year 2018 is a landmark year for Tata Group as it celebrates 150 years of nation building. As part of this journey, Tata Motors in its own way has been making significant contributions for the last 7 decades. ‘Auto Expo –The Motor Show 2018’ makes it more special as it marks a momentous occasion in Tata Motors’ journey towards developing Smart Mobility Solutions, connecting aspirations of its customers along the way. Tata Motors May sales at 56,779 nos.